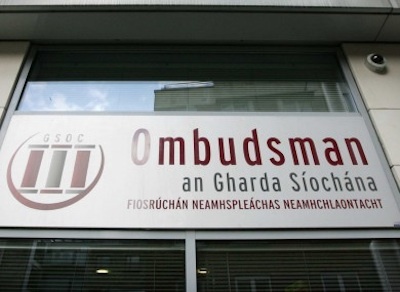 The Dublin government has been rocked by shocking revelations of a ‘black ops’ spy operation at the headquarters of the police ombudsman’s office, the Garda Siochana Ombudsman Commission (GSOC). The furore erupted after a Sunday newspaper report that London security specialists hired by the GSOC last autumn had discovered evidence that its Dublin headquarters had been breached. That private report was leaked to the Sunday Times newspaper. The GSOC is tasked with supervising the actions of the 26-County Garda police, and since its foundation in 2007 has chalked up a history of bitter disputes with Garda police chiefs on corruption within the force -- initially over the handling of drug-dealing Garda informers, and, more recently, over the handling of Garda whistle-blowers. GSOC chairman Simon O’Brien appeared before a parliamentary committee on Wednesday to explain how phones and emails at the watchdog’s Dublin offices could have been intercepted last year using three separate spy technologies. The report said that the advanced and extensive nature of the surveillance operation, including the deployment of a fake [British] mobile phone network, pointed to government-level technology. Referring to observations that the Gardaí had most to gain from disrupting the Ombudsman’s work, Minister for Justice Alan Shatter said the force had become the subject of “what appears to be completely baseless innuendo” and criticised the Ombudsman Commission for failing to bring the matter immediately to the attention of the Gardaí. Taoiseach Enda Kenny and Justice Minister Alan Shatter aggressively denied the Ombudsman’s office was under surveillance at all. There was “no evidence” found during the “routine sweep of a nature which had occurred previously”, the Minister said, and the issue had been prompted by “no specific concern”. “No definitive evidence existed,” the Taoiseach Enda Kenny said. He also misquoted legislation on the powers of the Ombudsman’s office, wrongly insisting it was required to immediately report its surveillance concerns to the Gardaí. “I think we can put that matter behind us now,” he told an incredulous Dáil. Confusing the issue was the manner in which the Ombudsman appeared to then row back on his initial statements confirming the bugging report. By Wednesday he refused to confirm that the observation of three “anomalies”, as he began referring to them, were part of an illegal surveillance program. In testimony to a parliamentary committee on Wednesday, the GSOC chief said there was no “definitive” evidence of “unauthorised surveillance” -- but in complete contradiction, he also said chances of any other explanation were “remote to zero”. Shatter was briefly emboldened. “Some public comment has proceeded on the basis that it is an established fact that the offices of the Commission were bugged when clearly it is not,” he declared. Notably, however, the Minister showed no appetite for establishing the facts, rejecting out of hand calls by opposition TDs for an investigation into the matter. O’Brien’s contradictory performance before the committee served only to encourage certain media outlets to further portray him as the individual responsible for the scandal. At one point, there was strong political pressure for his resignation. While repeatedly declining to express his support for O’Brien, Shatter said he was “satisified” the Ombudsman’s office had conducted its own investigation and had found no connection “between any Garda with any of these matters”. Only on Friday, after declining to do so throughout the week, the Minister finally expressed support for O’Brien to continue in his post. He said O’Brien’s confusing appearance in front of the Public Oversight Committee was due to the “long period” of questioning he faced. And accused of misleading the Dáil by falsely claiming there was “no evidence” of surveillance, the Minister insisted the information he provided was correct based on what he had been told at the time. He said that he had now written to the Ombudsman’s office for clarification on the matter and that he was “looking forward” to their reply. Further revelations this Sunday are expected to include the factors which motivated the Garda Ombudsman’s office to carry out the security sweep. It is thought they could add to the government’s embarrassment over its attempts to play down the scandal, and increase the pressure for a full investigation. Former GSOC commissioner Conor Brady said a commission of investigation headed by a senior counsel should be appointed, while others have suggested former Six-County Police Ombudsman, Nuala O’Loan, should head up an investigation. Sinn Féin is to table a motion in the Dáil next week which calls on the government to establish an independent inquiry into the controversy. “The Government’s response to the controversy has indeed undermined public confidence in GSOC whereas the government, and in particular the Minister for Justice, has a clear responsibility to uphold the integrity of An Garda Síochána and of GSOC. That has not happened,” Sinn Fein leader Gerry Adams said. Speaking on the role played by the Minister for Justice, he added: “Every utterance from Minister Shatter has further undermined public confidence.